Hi there! My name is Julie, and Taste Of The Place is where I share my love of all things international food and culinary travel. The idea for Taste Of The Place started one magical evening on the Oregon Coast. Enjoying a meal I had prepared with local seafood and a beautiful Oregon wine, I realized that every meal has the potential to tell the story of a place. Inspired by this realization, I decided to combine my love of food, with my interest in culture and travel, to create this site. 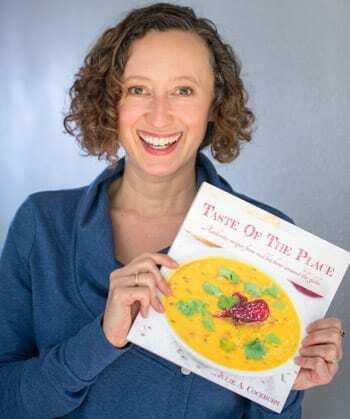 Taste Of The Place is always growing and changing, but you can expect to find lots of international and regional recipes, cultural insights, and culinary travel tidbits. Above all, here at Taste Of The Place, my mission is to help you experience the world through food. I hope you’ll join me for the delicious journey! I am a Pacific Northwest girl at heart, and currently live in the beautiful community of Wenatchee, Washington. Once upon a time I was a yoga teacher, and even briefly had my own yoga TV show. I love trail running. It makes me feel free as I explore gorgeous wilderness areas with just the power of my own two feet. 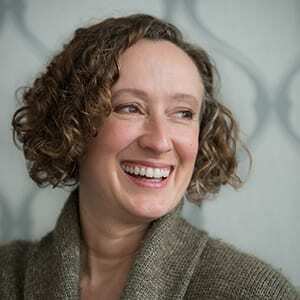 My hair is naturally curly – and I love it! My major in college was Russian language and literature, and I lived in Russia for 9 months during college. Even though I am an introvert, I thrive in front of the camera, and have worked from time to time as a professional on-camera spokesperson and actress. If you couldn’t guess by now, I love food with an interesting history, and really enjoy sharing it with other people.